In our last blog, we discussed what homeowners insurance you need when buying a new home. 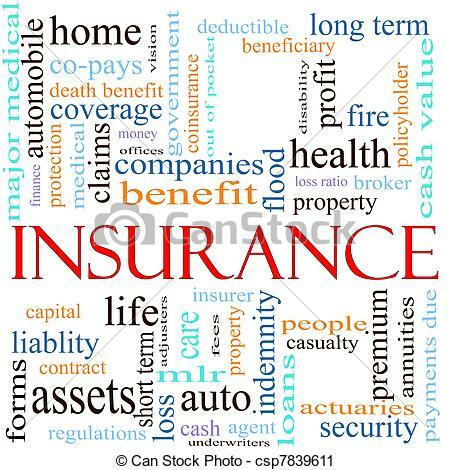 Today, we are continuing with the topic of home insurance – when to review and update. Some people think that once they buy their property insurance, they are done for the life of their mortgage or as long as they own their home. That is not the case. Homeowners insurance should be reviewed yearly. Why do I need to check my homeowner’s insurance coverage every year? Your needs may change over time. Reevaluating your home insurance every year is crucial to ensure that you have the coverage you need. What factors can lead to a change in homeowners insurance? Repairs, renovations, remodeling, and the purchase of new items may increase the value of your home and its contents. Getting a dog, adding an alarm system, or retiring can also impact your homeowner’s insurance rates. 1. After a remodel or other renovations – remodeling your home can increase its value. Your current insurance policy valuation is based on the replacement cost of the cabinets, flooring, and other factors before a remodel. If damage to your home occurs, your renovations may not be covered. 2. After a hurricane or other storm damage that resulted in repair work, or before disaster hits by making proactive updates to your property. It is especially important to do this if you have put on a new roof, added hurricane shutters, or a hurricane proof garage door. Order a Wind Mitigation report (independent from your insurance provider) and furnish this to your homeowner’s insurance company. The savings can be in the $100s or even over $1,000 depending on coverage. Now is also the time to compare other homeowners insurance companies to see if you can get a better deal elsewhere. 3. After adding an alarm system – many home insurance companies will give you a lower premium if you have an alarm system. 4. After putting in a new swimming pool – adding a pool to your home increases its value considerably. However, it can also increase your liability in case someone is injured in the pool or drowns. You can expect your home insurance cost to increase if you add a pool. Do not try to keep this a secret from your insurance company. If an injury occurs, your insurance company will not pay if you did not let them know in advance about the pool. 5. You have increased the value of items inside your home. If you purchase any big-ticket items such as jewelry, electronics, artwork, custom furniture, or other valuables, your current insurance policy may not over their replacement value. Update your policy to ensure you have adequate coverage. Some items may need a separate rider, which you can discuss with your home insurance agent. 6. You have retired – some homeowners insurance companies offer discounts up to 10% to retirees over 55. Why? Because they are more likely to be at home and notice if a problem such as a fire occurs. There is also less risk of burglary when someone is always home. 7. After quitting smoking – some home insurance companies charge higher rates to smokers as that increases the risk of fire. If you have stopped smoking, your insurer may consider lowering your premium. 8. After adding a dog to the family – you must tell your insurance company about any pets such as a dog that could cause harm to others. If your dog bites someone on your property, you could face a lawsuit. Your insurance company may only protect you if they know about the dog. How Often Should You Shop for Home Insurance? You should review and shop around for home insurance once a year – as soon as you receive your renewal notice. It is especially important to do this if you notice any price increase. Of course, if you meet any of the eight items listed in the previous section, that is the time you want to look around. If your policy is up for renewal every March, and you complete renovations in May, you do not want to wait around ten months before updating your homeowner’s insurance coverage. Inflation can also impact your property value. While many home insurance policies do include inflation guard coverage, do not assume it will provide enough without a thorough review. It takes only a few minutes to get a new home insurance quote from a few different companies. The money you save in the long run could be more than worth your time. For questions about home insurance, or buying or selling a home, contact the team at Great Florida Homes at (954) 695-SOLD. We are here for you.